The label prominently features hops! 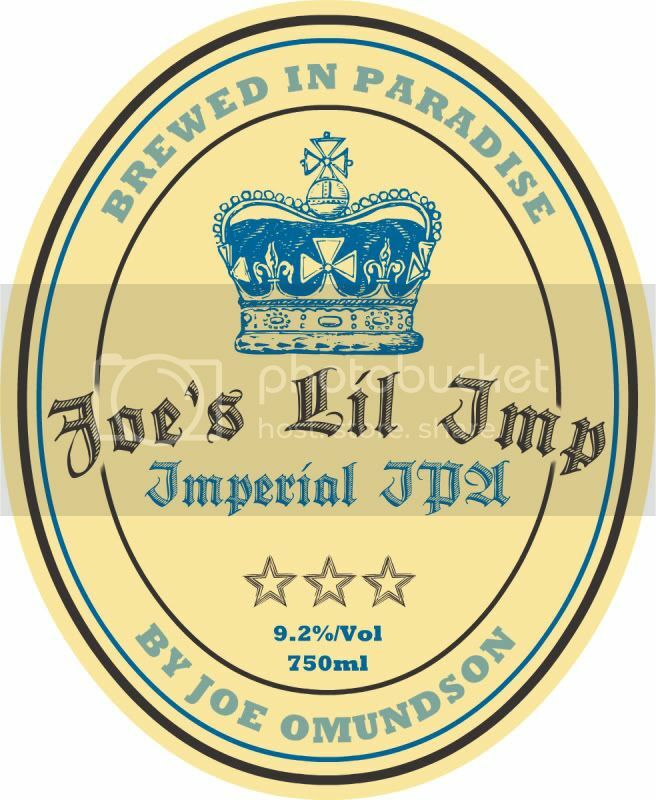 The final beer in my trilogy of reviews is, by far, the most expensive and strongest beer I’ve ever had. Obviously then, it will be the most expensive and strongest of the three I decided to review. 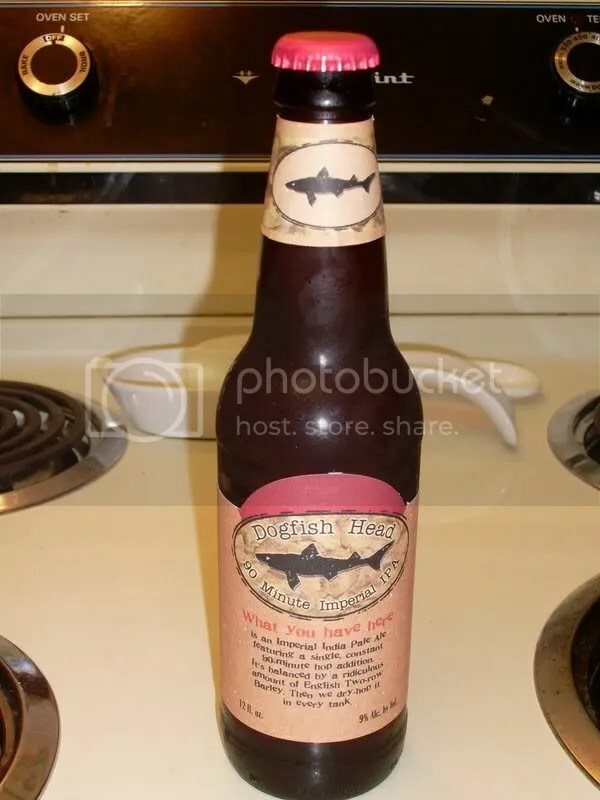 Dogfish Head’s 90-Minute IPA (India Pale Ale) weighs in at a whopping 9% ABV (Alcohol By Volume) and I was able to pick it up at my local ABC Fine Wine & Spirits store for $11.50 for a 4-pack! Yes, 4 12-ounce bottles for $11.50. That is nearly $3 per beer ($2.85). However, think about it. When you go to your local bar or restaurant (not during happy hour) you see people happily paying $2.50 for a Bud and $3.50 for imports.